Buckle up, everyone. Today we’re gonna LEARN stuff! Biter. Geek. Ghoul. 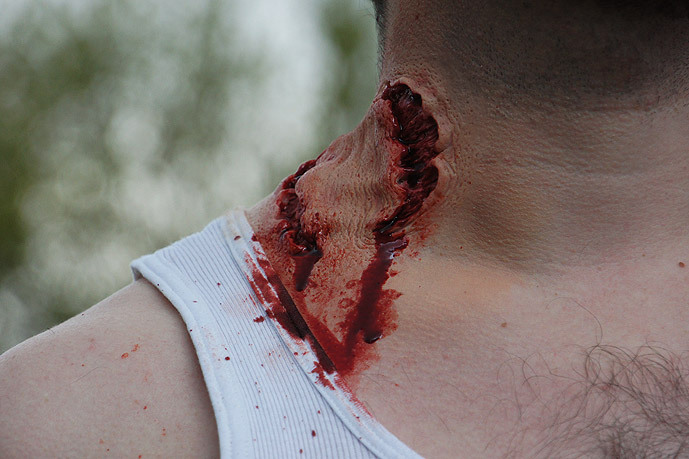 Infected. Stiff. Undead. Walker. Zach. Zed. The amount of synonyms for this particular breed of Hollywood monster is almost never ending. There are more words for zombie than there are series that portray them. And that’s an interesting point. Everyone knows what a zombie is, right? It’s an undead corpse that rises up, mindless, with only one purpose; to feed. But then, you’d be surprised at how often that very basic definition is altered. Some zombies aren’t really mindless (per say). Some don’t just try to feed. Some aren’t even dead or undead. Yet even through all their variances we know zombies when we see them. So let’s take a moment to talk about zombies, and in particular the differences between them. Because I think this is something any self-respecting zombie survivor should consider when planning their bug-out bag. I’ll be talking about zombies in four categories: Origin and Transmittance, Living Status, Speed, and Intelligence. You may be thinking “why don’t I just read The Zombie Survival Guide by Max Brooks?” Well, random Internet stranger, because that book (while extremely valuable and one of the best pieces of literature ever written) specifically deals only with one kind of zombie. But the fact is, there are many kinds of zombies in all kinds of fiction. Zombies always have to come from somewhere, even if the protagonists in the work don’t know the answer themselves. And that origin can be extremely important when it comes to survival. By far the most common origin. Plague zombies are basically any zombie created as a result of a virus (Resident Evil), bacteria, fungus (The Last of Us), or any other biological agent. A virus is the most common variant, often based on a mutated strain of rabies though it can also be an entirely new species. In general, this is the type of zombie that you don’t want to be bitten by; contact with their bodily fluids will transmit the infection to you. The virus will propagate and reproduce until it is strong enough to turn you. And then you start trying to bite other people. Unfortunately, in some works getting bitten isn’t the only concern. Infection can be transmitted through other methods, such as through water supply or in the air. This brings us to a sub-category; whether we are talking about a slow or fast infection. 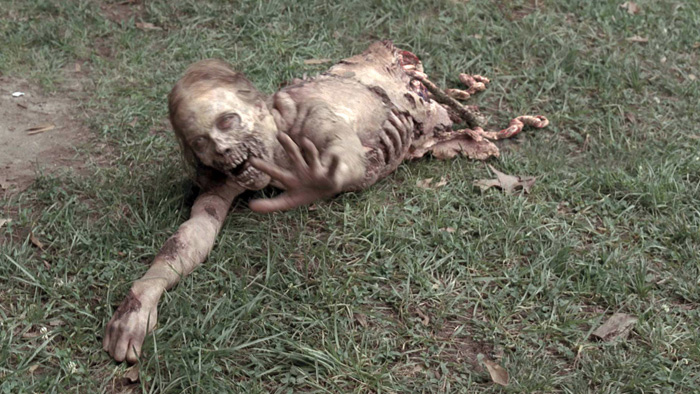 Slow plagues move forward at a crawl; infection can only spread through contact with a zombie. Someone gets bitten, becomes patient zero, bites a few doctors who also eventually turn, they each bite a few more people, and so on and so forth. In theory, slow plagues are some of the easiest to deal with (provided that the nature of the problem is recognized quickly enough) as those few people who are turned can be corralled and dispatched with before the disease can spread. It’s when the disease is ignored or missed that humanity as a whole has problems, but this would take a decent amount of time; days or weeks. Maybe even months or longer. The military often has time to formulate a plan or try to fight back, though often times they are unsuccessful. I believe Left 4 Dead follows this particular model, and the world of World War Z (the novel, of course) and The Zombie Survival Guide likewise act the same way. You may think you got away, but this is a death sentence. Fast plagues, however, are extremely deadly. They are generally caused by some sort of AoE pulse. It could be an airborne strain of virus, perhaps, or a bacteria contaminating the water supply. Whatever the specifics, fast plagues will hit the population almost overnight, turning a large percentage of humanity into zombies without any chance to stop it. Often the few survivors left are those who were immune to the initial pulse or else weren’t affected due to location or other random happenstance. Governments don’t have time to respond (or at least very little time), and planetary infrastructure fails in an instant. We see this scenario a bit in Dawn of the Dead and The Walking Dead, where the population seems to turn very suddenly. Keep in mind there is no specific timeline for these subcategories; a plague that requires contact to spread could turn most of the population in a matter of days, such as in the World War Z movie, making it difficult to really pinpoint the exact type of infection we’re talking about. Additionally, a fast plague could hit the population quickly, but the agent may have a long incubation period and thus people won’t start turning until a month later. What’s important is how quickly a majority of the population turns after the first zombie springs up; that determines reaction time. These categories just give an idea of what can be expected. A supernatural infection can be anything from voodoo priests to magic potions to the actions of a necromancer to the powers of a god. Usually, we see magical zombies in fantasy such as a Dungeons and Dragons settings but examples of supernatural zombies exist elsewhere (such as in Undead Nightmare, the fantastic DLC for Rockstar Game’s Red Dead Redemption). Magical zombies tend not to have the infectious bite of their plague-based cousins (but again there are exceptions; Undead Nightmare actually being a perfect example), and function mostly as mindless shock troops. They are held together by magic or some other supernatural force, and through their magical nature may go beyond human capability. Often they can be controlled by someone or something, giving them the illusion of thought or intelligence, and they can be stopped by breaking the magic that holds them together just as much as they can be destroyed by more conventional means. Fortunately most voodoo doctors who create zombies want them for labor. Most. Like plague zombies a supernatural “infection” can be fast or slow, depending on the specific mechanics involved. A lone voodoo priest who captures individuals and makes them his zombie thralls would work slowly, while a necromancer who pours a potion into a village’s well would naturally have a much faster infection rate. While rarer to see, a supernatural origin is usually quickly blamed in most zombie stories. “God is punishing us,” or “hell is sending the dead back,” are all phrases I’ve heard numerous times. Usually these scenarios are outright false (as the protagonists learn about the true cause) or no explanation is ever given. If someone can come up with a better name for this category then I’d love to hear it, because as it is everything else I thought of is wordy or just stupid. Not all zombies are dead. Some might argue that this does not make them truly zombies; by definition a zombie is a corpse. That’s not strictly true, as the original definition of zombie refers to voodoo thralls, still living individuals held under the sway of a magic man. With the rise of Hollywood modern zombies were re-designed to be animated corpses, but now postmodern zombies tend to be alive more often than they are dead. This can be a very important distinction. These are the true undead (undead because their deaths have been undone), and in many ways I believe these zombies are the ones that can truly reduce a man to a sniveling child begging for his mother. Dead zombies are corpses; individuals who have been infected, then died, then returned to life. The important point is that we usually see the infected person actually die. They close their eyes, slouch over, and move no more. Or at least not for a few hours. Then they “wake up,” only not as they were. They rot away as they shamble about, crawl on stump legs or struggle with mostly-missing torsos. They have no need to breathe or eat, and yet eating is all they try to do. Soldiers who continue forward no matter how damaged they are; no wonder so many fictitious companies want to weaponize zombies. 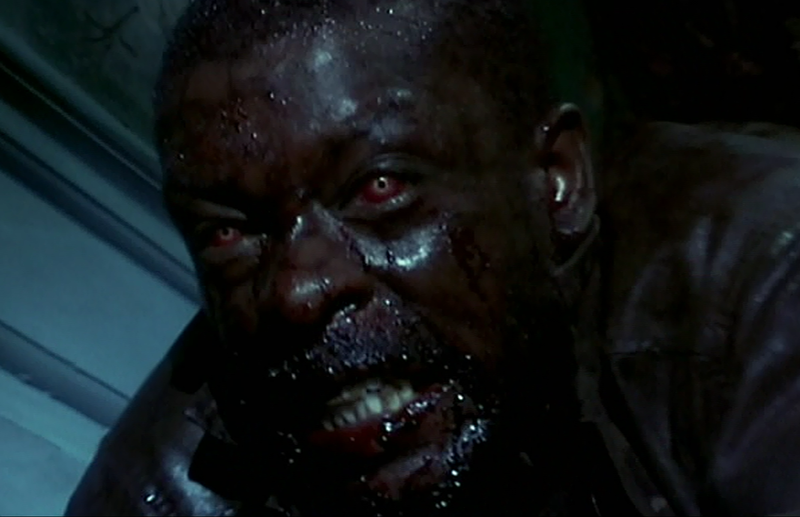 We see this type of infection in The Walking Dead, Resident Evil, and Dawn of the Dead. The scary thing about truly undead zombies is how resilient they are. Barring some magical animation, they almost universally require destroying the brain in order to bring them down. The brain is where everything is kept going. Destroy that and you destroy the monster. Anything else just will not work. Cut off an undead zombie’s head and the body man flop over lifelessly but the head will continue to chomp at the air, still seeking flesh. 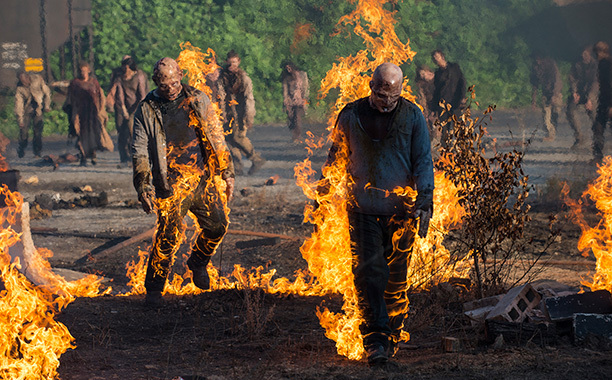 Setting them on fire may work eventually, but until the brain finally gets cooked all you’ve done is create a zombie that is on fire. As I mentioned earlier, living zombies is mostly a postmodern convention, but one that is spreading quickly. We mostly see it in video games, while truly undead variants are more likely to be found in cinema (there are, of course, exceptions). Living zombies are also often referred to as rage zombies, popularized by the film 28 Days Later, where the zombies are living individuals who are affected by some sort of rage-inducing agent that spurs them to bloodlust. Dying Light, Left 4 Dead, The Last of Us, and some of the zombies of Undead Nightmare are examples of series that use these zombies. Most easily distinguished by their lack of rotting flesh. Living zombies tend not to be as resilient as their undead counterparts. They are, after all, still living people. Their minds are gone, replaced with the insatiable hunger, but still they live. Cut off one’s head and it will die. Do enough damage to its body and it will go into shock and die, or bleed out and die. Drown it and it will die. Starvation and dehydration can eventually kick in, though depending on the series those effects can be mitigated or removed entirely. They are easier to deal with because they are easier to kill. However, they usually present other problems, and that brings us to our final category. Perhaps the clearest category we have, and potentially the most decisive factor in survivability in the zombie apocalypse. Just how fast are the zombies? Runners. These zombies are quick, usually possessing most of (if not all or more than) the speed of a normal human being. No chance of dodging between them or outmaneuvering them; they can chase you down and have the added benefit of not tiring when they do. The World War Z movie has them, as does 28 Days Later, the 2004 Dawn of the Dead remake, and Zombieland. Usually (but not always) running zombies are the still living variety, as their bodies continue to metabolize and function like a normal person’s. This allows them to move quickly and keep their faster reflexes. Anyone who isn’t an athlete is probably screwed. 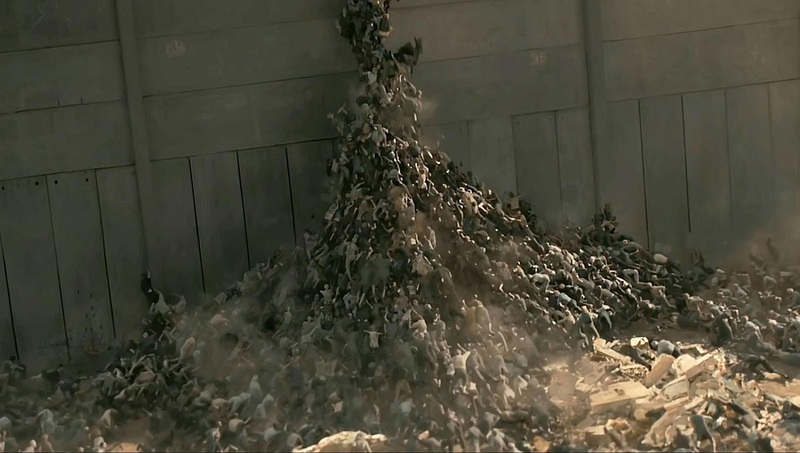 It may be a poor adaptation, but the zombies of World War Z are absolutely terrifying and I hope we never encounter them. Shamblers. These are your textbook zombies, and because of their slow speed they are usually much easier to deal with. Call of Duty has these zombies in its Nazi Zombies mode. We also see them in the original 1978 Dawn of the Dead and Shaun of the Dead. As living zombies tend to be fast, undead zombies tend to be slow; their rotting bodies can’t move with the same speed or maneuverability of a living person. But again; exceptions exist for both variants. 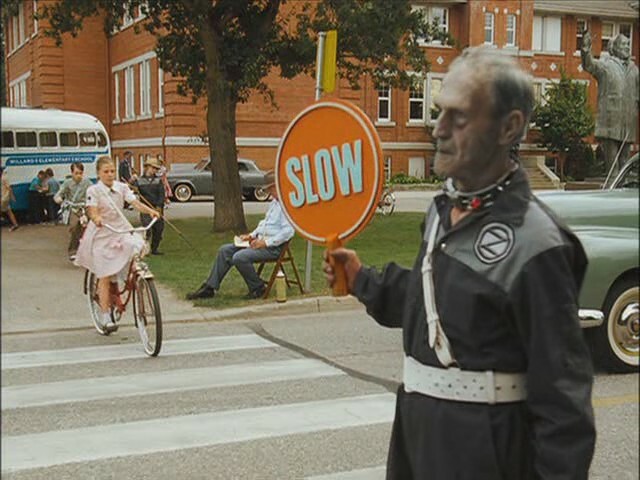 Many zombies are “fast walkers;” they can’t run but also don’t shamble around at a snails pace. The can walk at a decent speed but can still be easily overtaken by most people. The Walking Dead and Resident Evil has zombies like these, but I would continue to lump them into the slow zombie category. Honestly, if you had to you could probably make it through this field without much difficulty. I feel it’s also important to mention that some IPs have both fast and slow zombies. Left 4 Dead does, as well as Dying Light. Some zombies also appear slow at first, but show increased capability for speed when they actually have food in their sights (Warm Bodies shows this pretty well, as well as many video games zombies like in Dead Island). Whether that increased speed is more of a walk or a run depends on the series. I personally do not like to apply the term zombie to any creature that is intelligent or thinking; in my opinion that begins to move into revenant or wight territory. But there are certainly levels of intelligence once you start comparing zombies across IPs. The differences are so minute I see no point in categorizing them. Instead, I’ll just talk about some of the different behaviors we’ve seen. Most zombies are plain stupid. They have no higher reasoning skills and react entirely on instinct and the need to feed. A zombie is not intelligent enough to, say, jump over a small gap to get to a survivor or walk around a spike trap on the ground. They can’t open doors (unless simply pushing against it will knock it open) or handle a tool. They can’t communicate and hordes come together simply by happenstance, and when a large group chases after prey they do so as individuals. They are drawn to stimuli like lights or sounds, but have no capability to understand what those things actually mean or are. Yet there are some questionable behaviors that make you think. 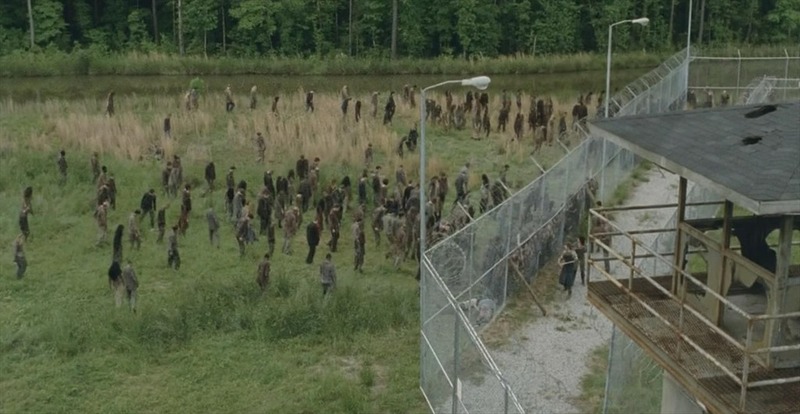 In The Walking Dead we’ve seen walkers spot a person from across a room and walk around desks to get to them. Walkers have also been seen standing up in a bus and moving into the aisle to attack someone, rather than just reaching out for them from their seat. This implies some level of basic spatial awareness, yet in other scenes walkers will plod directly into a spike without realizing it’s there. I’m not sure what’s different about each scenario, but I believe we can deduce that some kinds of zombies (e.g. TWD walkers) can sometimes navigate basic terrain in search of prey. In Shaun of the Dead zombies are shown performing simple routine tasks, and in Zombie Strippers the zombies continue to perform lap dances. These movies are meant to be comedic, but what about a more serious film? The 2004 Dawn of the Dead remake has a scene that confuses me a bit. (I’d skip the rest of the paragraph if you’re worried about spoilers. though we’re talking about an 11-year old film here). Andy, the gun shop owner, gets bitten near beginning of the film’s third act. He goes back to the roof and “writes” out a bloody message, then holds up his sign and descends back downstairs to attack Nicole. Question is; was he turned at the time or not? My understanding is that Andy didn’t know that being bitten turns you, so he wouldn’t have written a warning. We also never see him die and reanimate like the others after he drops the sign; he’s just already moving like a zombie. This suggests to me that he was in fact turned. So a zombie crouched over, splattered blood over a sign, and then held it up for the protagonists across the parking lot to see. Perhaps this was some sort of left-over habit still somehow stuck in his brain from his many earlier messages? Even so, that implies some rudimentary intelligence, or at least an altered sense of instinct. Doesn’t that just bring a smile to your fa- oh god what’s wrong with you people?! And then we have the truly intelligent zombies. They aren’t common, but they exist. The Return of the Living Dead is possibly the best example, where zombies have the intelligence to not only talk (granted this is mostly reduced to “Brains!” and “More brains!”) but also use complicated tools like a winch. In Dead Snow, a Norwegian film, the zombies are extremely intelligent and able to formulate plans, follow orders from each other, and react to danger. Planet Terror has zombies who seem to completely keep their concept of selves and act extremely intelligently, speak freely, and use weapons. Now again; I hesitate to call them “zombies” in most of these last examples, and Dead Snow in particular seems to be a modern take on the draugr legend. But the filmmakers refer to them as such, so I suppose it has to count. Still, I would not expect real zombies to have that level of intelligence, though I really can’t be sure. And in particular, the self-preservation of the zombies in Dead Snow, I feel, truly takes away from their true “zombie” status. Remember, the important thing here is knowing what kind of zombie you are dealing with. These factors are, I believe, the most important when determining your ability to live in an outbreak. How did the infection spread, what what kind of transmittance is at play? Use this knowledge to your advantage, assuming that you survive the initial purge. Are the zombies knocking at your door alive or undead? That will determine how difficult it will be to bring them down. Are they fast or slow? You better hope they are slow, because the last thing you would want is Usain Bolt racing at you and snarling. And how intelligent are they? Can you bait them into traps? Avoid them all together? Will they plan around your attempts to escape? Can they use tools or (and you’re really screwed then) weapons? Not all zombies are made equal. We can only hope that if a real zombie apocalypse rises up it will be an ideal situation. I’m thinking plague based, ideally bacterial and which requires physical contact with the undead to spread. The zombies are living and thus are easier to kill. They are slow-moving and lumbering so that they are easy to avoid and run away from. They are extremely unintelligent and operate solely on instinct. If this ends up being the case we may very well not have an apocalypse at all. Excellent write-up. I share your derision for the oft-lamented WWZ adaptation. Even as I realized it wasn’t going to stay true to the source material at all, I was still prepared to give it it’s due. Here was a major budget zombie movie staring a Hollywood A-lister. It fails to stick up to it’s own internal logic however, in a number of places. The most obvious of which is the zombies’ ability to sense sickness on a living human and avoid it as prey. Pitt’s character sees the kid on the steps in Israel, the Z’s in full sprint running right past the little boy. Later, he infects himself with something and then has to stand there while a Z takes an inordinate amount of time to decide Pitt is verboten. And don’t get me started on the Israeli wall scene 🙂 Someday, perhaps, we’ll get a faithful adaptation…perhaps an HBO miniseries treatment. Probably right after a faithful adaptation of Starship Troopers and Battlefield Earth. I sorta justify that zombie’s hesitance around Pitt to be due to the sickness in question being rather new; the virus (or whatever sort of disease it was) probably just barely propagated enough at that point for Pitt to be considered sick, so the zombie was hovering a bit because of that. I found your blog here because a couple of the members of the FB group, “Space Opera” posted your article about the spaceships. Feel free to drop buy and join up. It’s a great group of sci-fi fans and we’ve got sub-groups that tackle anything from gaming to sci-fi/fantasy writing. Oh yeah, you’re correct. What I meant is that whatever pathogen he injected himself with (it’s not stated which one it is) had only had a short time to propagate through him, so he wasn’t as clearly sick as the old man and the child from earlier in the film. Thanks for the invite as well; I’ll have to look into it. And thanks for checking my blog out as well. Not a problem. I like the general setup and will be returning.